You’re sitting on a black sand beach in Iceland. The wind is in your hair. The sun is setting. Maybe you have a nice beverage in your hand of choice. The wind gets stronger, because, Iceland. You snap a beautiful photo, and you just think to yourself, I’m in the most beautiful place on earth! Guess what guys? You don’t need to have someone sitting next to you in order for that situation to be a reality. So, today I want to talk about why Iceland is an amazing place for solo travelers. Hello to Iceland! Welcome back to my channel. 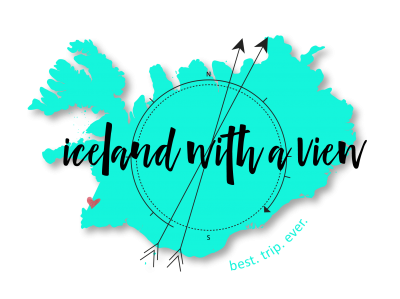 My name is Jeanie and my mission is to help you plan the best trip ever to Iceland. Today I’m going to do that by talking about all of the reasons that Iceland is the best place for solo travelers, specifically female solo travelers. Because I know a lot of people have been asking me about this question lately, and if I think it’s safe for females to travel solo around Iceland. So, I’m excited to answer that today. Let’s get into it. The number one thing that you need to know, and the number one reason that you should travel to Iceland as a solo traveler is it’s the safest country on earth. As if I didn’t love Iceland enough already, now it just has to be the safest place to travel to. You can’t do any wrong, Iceland. According to 2018 Global Peace Index, because it’s a thing, Iceland was ranked number one for the safest country on earth. It is not hard to see why, you guys. And, this is in terms of violent crime, theft, peaceful standards of living, even the police officers don’t carry guns. So, you’re good, you’re safe. I know that’s always a question that my mom wants to know before I travel anywhere. And, let me tell you, you’re going to be safe in Iceland. I actually think the least safe thing in Iceland is the tourists. Oops! The next reason is, English is so widely spoken in Iceland. I mean, it’s so easy to get along with just speaking English. Icelanders learn English from a very young age in the schools, and I rarely come across a situation where English is not spoken. I would say even now, even more so with the rise of tourism, you’ll be totally safe, and especially if you’re sticking to the main tourist areas. The next reason that you need to travel to Iceland as a solo traveler is it’s the most beautiful place ever. I mean, seriously, don’t let someone not being able to come with you be a reason that you don’t travel to Iceland. Because I promise you, you will come across more beautiful waterfalls and mountains and cliffs and seasides and cute villages, than you can ever possibly imagine in your life. So, in terms of being scenic and not running out of things that will make your eyes cry with happiness … I’m telling you, you’re not going to run out of things to see. 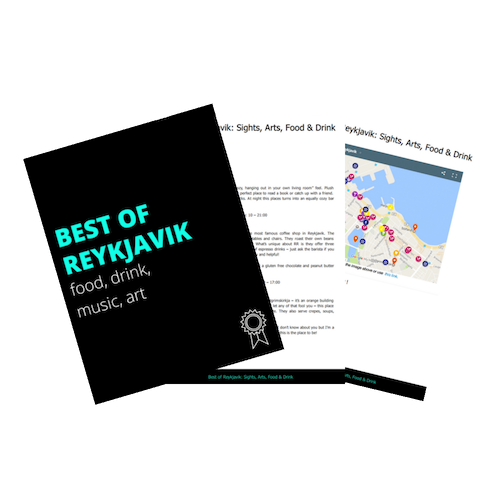 The next thing, and also very important, especially if you’re female … I’m sorry for the stereotype, I’m a female and I uphold the stereotype … is that it’s really hard to get lost in Iceland. I mean, if someone tries to give me directions and they say, “Head south”, I’m like, “Is it left or right? What’s the building?” I know, I know, you’re so surprised, I can’t tell directions. But, in Iceland, there are very few roads. There’s like the main road and then there’s a couple of branches that go off. So, in terms of driving around and navigating on your own and getting lost and missing your exit, and all of this stuff, you don’t have to worry about that. It’s so easy to drive in Iceland. It’s pretty hard to get lost, and it’s easy to navigate. So, hurray for that. Ladies celebrate! And, the last reason, but certainly not least, is that there is really good wifi and GPS signal in Iceland. So, if you need to be connected and texting your sister to make sure you’re okay, or calling your mom and just letting her know, “Hey, I’m here now”, you will have no problem with that in Iceland. As long as you know how to hook up to the internet, or buy a SIM card or anything like that, the connection is really, really good in Iceland. So, if you’re planning a trip to Iceland, I want to invite you to join our very own Team Iceland, of over 8000 people, inside my Iceland Planning Facebook group. And, I’m telling you, this is the most amazing community, filled with people who are willing to answer questions, offer advice and help, and also it would be a great way for solo travelers to meet up with some other travelers as well. So, I hope you’ll join us inside the Facebook group!